In the seminar, Assoc. Prof. 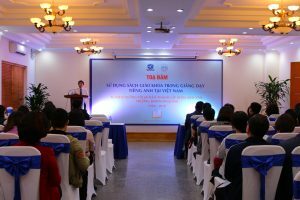 Le Van Canh gave a presentation on the general use of textbooks in teaching English. 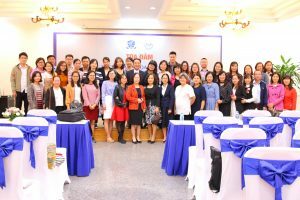 On November 9th, 2018, the Organizing Board of 60 years of the establishment of the Faculty of English – ULIS organized a scientific seminar under the topic: using textbooks in teaching English in Vietnam. This is an event organized to mark the 60th anniversary of the establishment of the Faculty of English, ULIS – VNU (1958-2018). Attending the seminar were President Do Tuan Minh, Assoc. Prof. 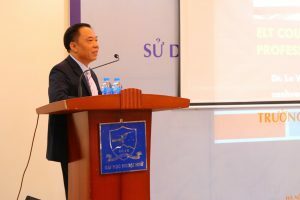 Le Van Canh, keynote speaker; master and PhD students from many training units throughout the country, representatives of the publishing house; English lecturers and teachers of all levels. This seminar gives a chance for students and teachers to discuss how to use textbooks effectively in teaching and learning. 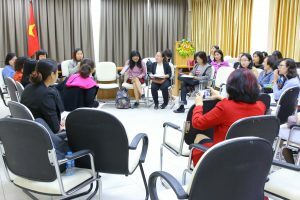 Besides, this is also an opportunity for learners and teachers to consolidate the network of English learning community, thus forming a forum for connecting localities and regions. In addition, this is an opportunity for generations of students and to express their gratitude to teachers for their contribution to the teaching of foreign languages of the country. 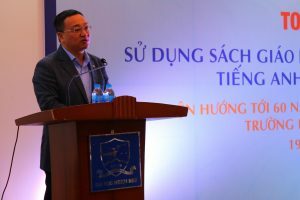 Speaking at the seminar, President Do Tuan Minh affirmed that the topic textbook would always be mentioned in many different aspects, many different forums. The President also thanked the scholars, experienced researchers, and foreign language textbook developers of all levels for attending and contributing to the success of the seminar. Later, the keynote speaker, Assoc. Prof. Le Van Canh gave a presentation related to the overview of the use of textbooks in teaching English. 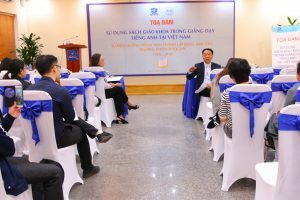 Theme 1: “Textbook per se” – Participants will have the opportunity to share ideas related to the quality of English textbooks that are being used in the national education system in Vietnam, give support and suggest to improve / correct them if they have any drawback. Topic 2: “Textbook and the know-how” – Participants will share difficulties in implementing the book in practice, especially how to develop lesson plans and conduct elementary and hands-on instruction; how to develop specific language skills in each unit, as well as give suggestions for how to overcome them. 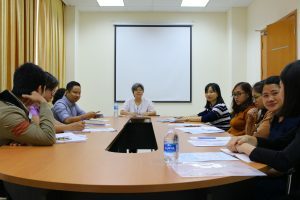 Topic 3: “Textbook and beyond” – Participants will discuss the difficulties experienced by teachers in the use of textbooks under the context of teaching English in Vietnam such as large class scale; different language proficiency amongst students; or the assessment does not stick to the content of teaching. Attendees are encouraged to offer solutions to these problems. 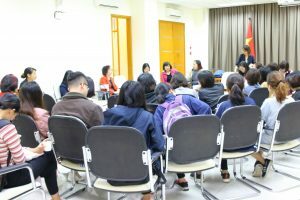 The seminar ended with direct dialogue between the participants and the authors, representatives of the English textbook publishing house in Vietnam.